The 4WD Camper is an easy to drive Toyota Prado - brightly painted with automatic transmission that will 4x4 you through the sand with ease. Our 4WD Campers are fully self contained with a double/queen size mattress, fitted sheet, camp pillows and pillow cases, bed (with a view!) and all the cooking and camping equipment to make your camping trip memorable. 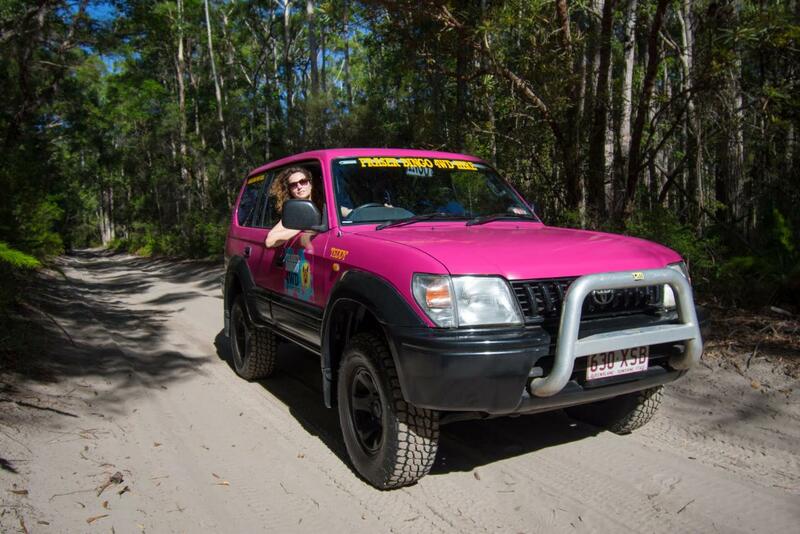 This 2 day package includes: Automatic 4WD Hire + Mandatory 4WD Safety Briefing + Personalised Itinerary + Barge Transfers (to and from Fraser Island - Ex Hervey Bay) + Local Charges (vehicle access permit + camping permits) + Equipment for your overnight stay : double bed, fitted sheet & camp pillows, cooking equipment - gas cooker + gas, pot/pan, plates/bowls, cutlery, mugs, tea towels, dish soap, camp chairs, table, tarp, cool box (Esky). 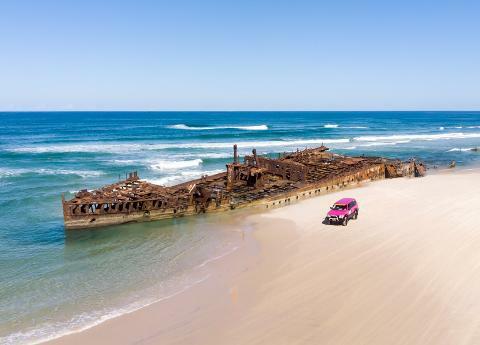 Your customised itinerary coincides with the low tides on 75 Miles Beach (Fraser's Eastern Beach) where you can safely drive along to see the Maheno Shipwreck and the Coloured sands (Pinnacles), stopping at the famous Eli Creek. You can go as far as Cathedrals on Fraser in 2 days (kilometre limit 180km). 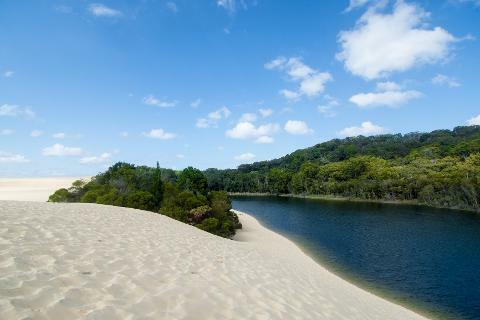 Inland, be mesmerised by Lake McKenzie and Lake Wabby, be amazed the ancient ferns and rainforest at Central Station with still plenty of time to get the 3 or 5 pm barge! Wanted to see more? - Indian Head and Champagne Pools : choose a 3 day 4WD Camper trip!